Welcome to the All Night Auto automotive blog. Today, let's talk about the effect of tire wear. Let's focus on stopping in wet Livonia conditions. In order for a tire to have good contact with the road, it has to move the water out of the way. If it can't move the water, the tire will actually ride on top of a thin film of water. That's called hydroplaning. If it's really bad, Livonia drivers can actually spin out of control - endangering themselves and the other drivers around them. At best, you won't stop as fast. And the deeper the channel, the more water it can move. A brand new All Night Auto tire has very deep channels and can easily move a lot of water. As the tire wears down, the channels become shallower and can move less water. When it wears down enough, it can seriously affect your ability to stop your vehicle on wet Livonia roads. So that's why it's so important for Livonia drivers to replace their vehicle tires when they get worn. Consumer Reports and other advocate groups call for a standard of 3/32 of an inch and they have the studies to prove it. 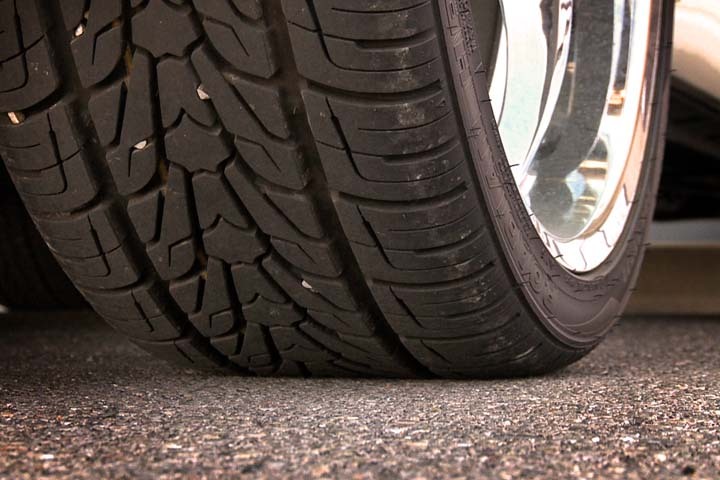 At All Night Auto, we want our customers to know that the deeper recommended tread depth makes a big difference. Stopping distances are cut dramatically on wet Livonia streets. A safe stop from Michigan speeds with 4/32 of an inch of tread would result in a crash with worn out tires. Many Livonia residents have heard of this technique using a penny and Abe Lincoln's head - the old method. That measure gives you 2/32 of an inch – half the suggested amount. Of course, vehicle tires are a major purchase. Most of us in Livonia want to get as many miles out of them as we can. But there's a real safety trade-off. It's your choice.